I’m thinking about creating my new backyard retreat with a swimming pool, but I don’t quite know where to start. 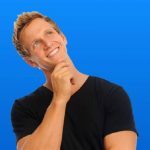 Why should I buy from Endless and what makes an Endless Pool superior? What options are available? I’m ready to purchase an Endless pool, but need to know the best way to go about placing an order. The Endless® story is one of hard work, determination and passion for the spa and pool industry. It began 35 years ago when the Spa business sector was just beginning in Australia and entrepreneur Warren Anderson, with the support of his wife Jennifer, invented the now very renowned ‘Endless Swimming Spa’ and together they created what became one of the country’s leading spa & swimming spa companies – Endless Pools and Spas. 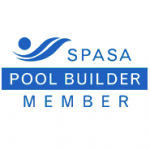 Fast forward and Endless Pools and Spas is the ‘known and trusted’ Australian Pool & Spa company. Co-founders Warren and Jennifer Anderson were proud to see their three children all working full-time at Endless and taking the business into the pool market. The juniors set out to find swimming pool builders they could rely on to uphold the company’s dedication to quality and customer service, and discovered Aqua Leisure Technologies (ALT). 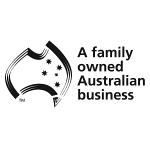 The company was also an Australian, family-owned and operated business that possessed family values and quality products similar to that of Endless Pool and Spas. 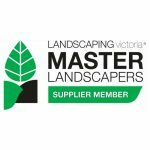 Endless Pools and Spas have become of the most respected spa and swimming pool installers in Endless’ hometown of Melbourne. 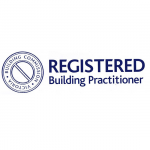 With a company-wide focus on delivering the highest quality products and employing the most qualified technicians, tradespeople and manufacturers, we are dedicated to providing the very best service possible. Read more of the Endless Pools story. Whatever the size and outdoor design of your property, you’ll be able to find an Endless product to suit your home. Nothing completes an Australian home like a pool or spa, so browse our selection today. Learn why more people choose our company; add a bit of luxury to your property with pool installations from Endless Pools and Spas. Contact our Lynbrook showroom today on (03) 8769 7300 or make a sales enquiry on sales@endless.com.au. You can also send us your questions via our contact form and we’ll get back to you as soon as possible. “The staff made it easy to buy the right product for my family. Even after purchasing they continued to answer any questions we had. “I wanted to take this opportunity to thank you, Jacinta and your team of fabulous people who have made my back yard transition from a slopping garden of nothingness to my dream oasis – a beautiful pool of cool sparkling water which is being enjoyed daily by family friends……. seamless. The service that I have received from you and your team has been beyond my expectation with nothing too difficult or trivial for you to deal with. Having spent over 36 years in the retail industry, great customer service is something I spruik daily to the 700 businesses that I manage but, over the years, one becomes jaded in ones expectations when you see less of that being the case….until now! “We are about to commence our backyard dream thanks to Endless.